Around 1900, it was standard practice to keep ‘lunatics’ and ‘idiots’ (as psychiatric patients and the intellectually handicapped were previously referred too) in large buildings placed in ‘natural’ surroundings. 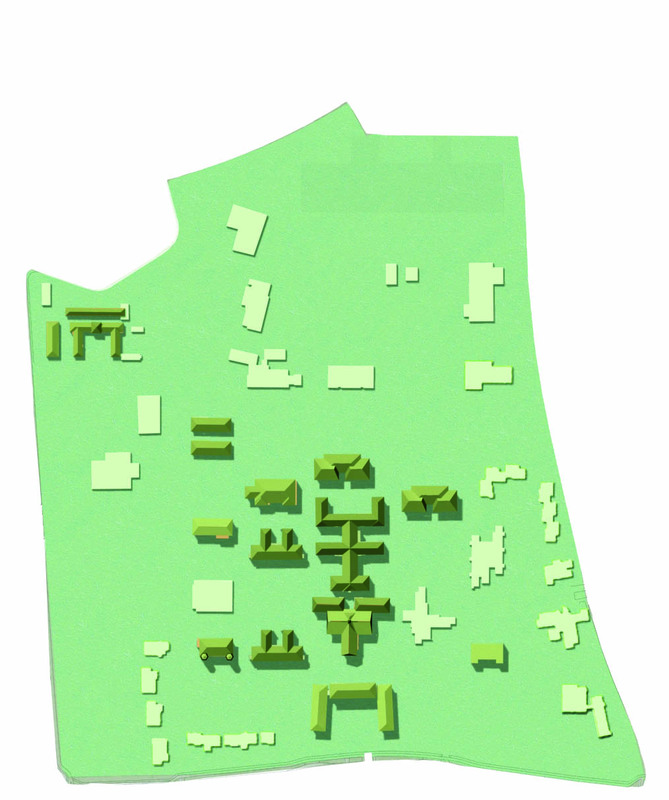 Typically, such complexes were developed as special country estates, with rich park layouts and ensembles of pavilions in a landscape setting. 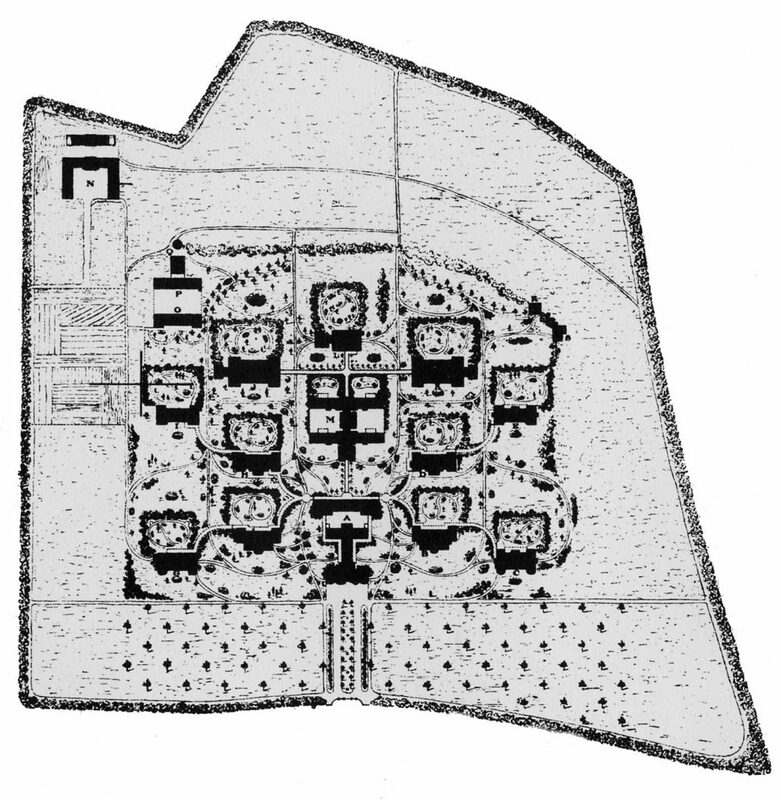 The symmetrical arrangement of the buildings was intended to promote tranquility, order and oversight. The Vincent van Gogh Psychiatric Institute, Venray, was erected in 1907 by the Ghent-based catholic religious institute, the Brothers of Charity, as a secure mental institution for men. 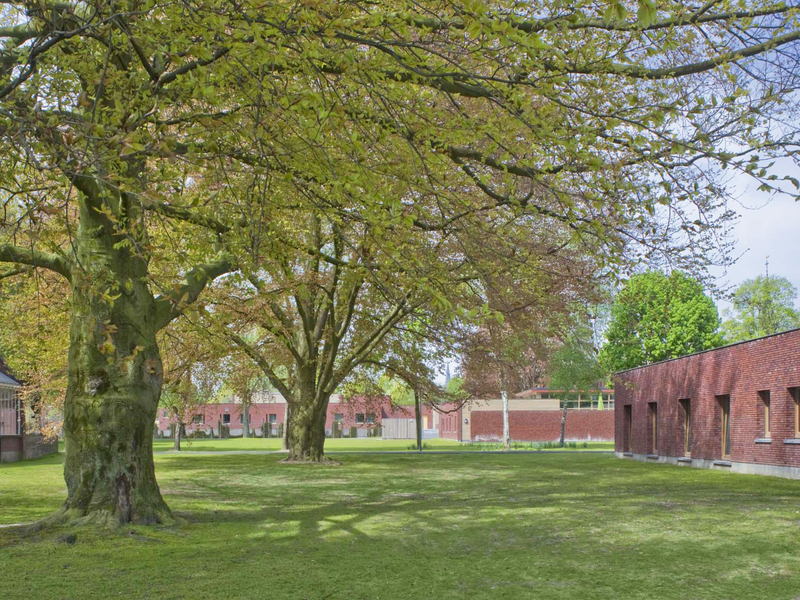 Originally located on a piece of land outside the city, the institute’s terrain is now entirely incorporated into the urban fabric. Beginning in the 1960s, the spatial clarity of the terrain’s physical arrangements gradually diminished in order to adapt to the necessary changes in the field of psychiatry. 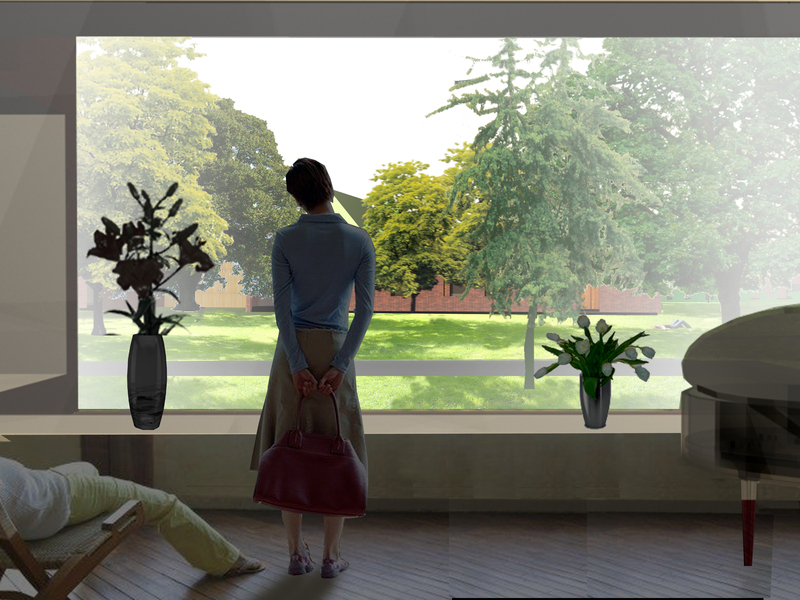 The patient came to be regarded as an individual and a fully-fledged part of society – a development that called for changes in the buildings and its functions. Today, yet another shift can be observed: rather than placing patients in society, society is being brought to the areas of these old mental institutions – such ‘reversed integration’ is indeed essential to the continued existence of these large complexes. 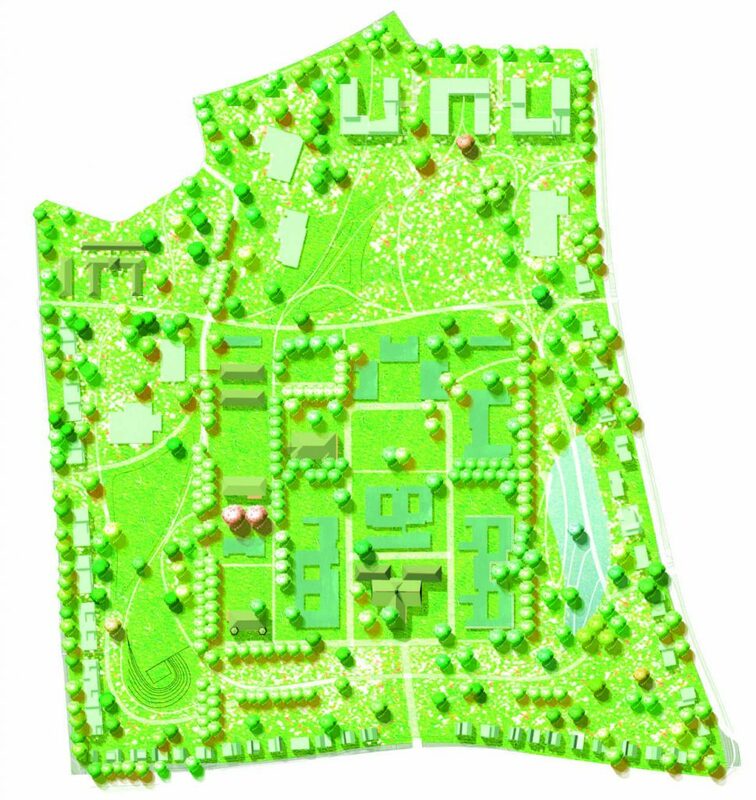 Given these considerations, 370 owner-occupied homes and residential care units are to be built on the terrain of the Vincent van Gogh Institute, for which Bureau B+B created both the urban plan and the public space design. Rather than the far-reaching integration of living and care that the institute’s directors originally had in mind, the firm proposed an arrangement that makes contact between these two groups possible. Although this contact is not forced. It comes with an understanding based on the concept of reversed integration which is still new and relatively untried. To translate this spatially, B+B’s urban design differentiates between an inner courtyard and a front courtyard. 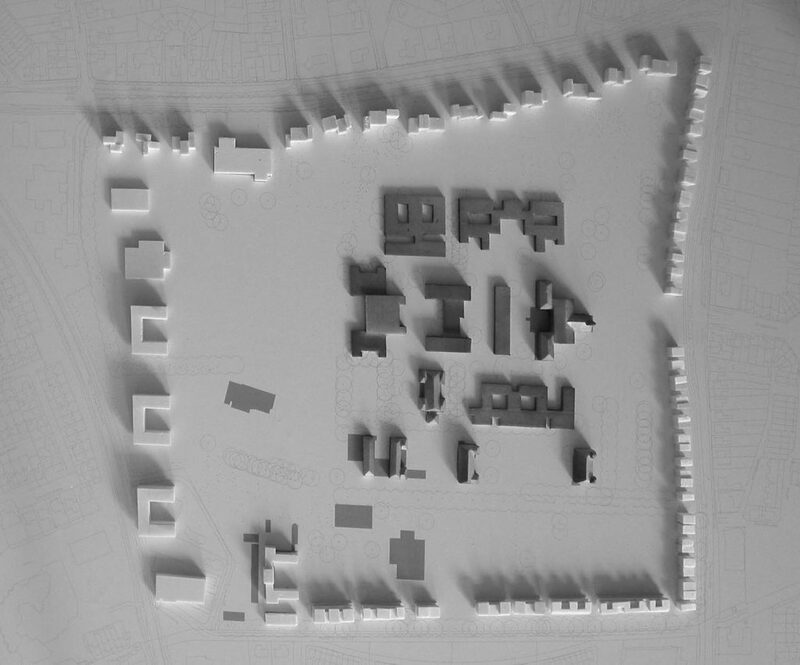 All of the new hospital pavilions are clustered on the square, tree-lined inner courtyard, in such a manner as to conform to the original symmetry and enclave structure of the terrain. The proposed design for the new pavilions is understated – a maximum of two levels, an orthogonal structure, interior walls of wood and exterior walls of purple-brown stuffing-press brick – resulting in a more organic approach to the remaining historic structures. 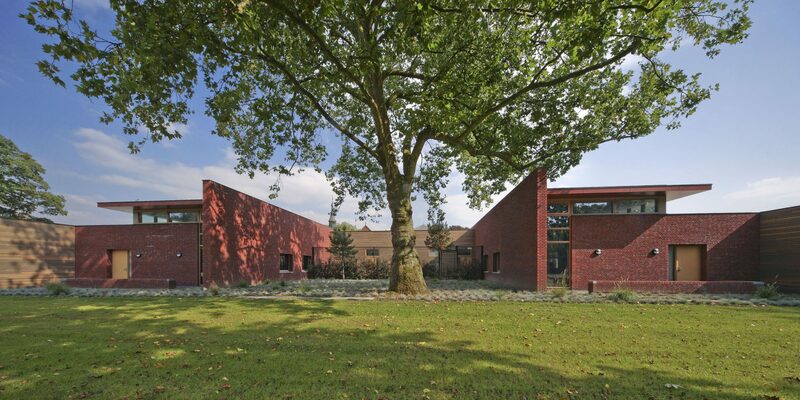 The new buildings are designed by the Greiner Van Goor Huijten firm of architects. 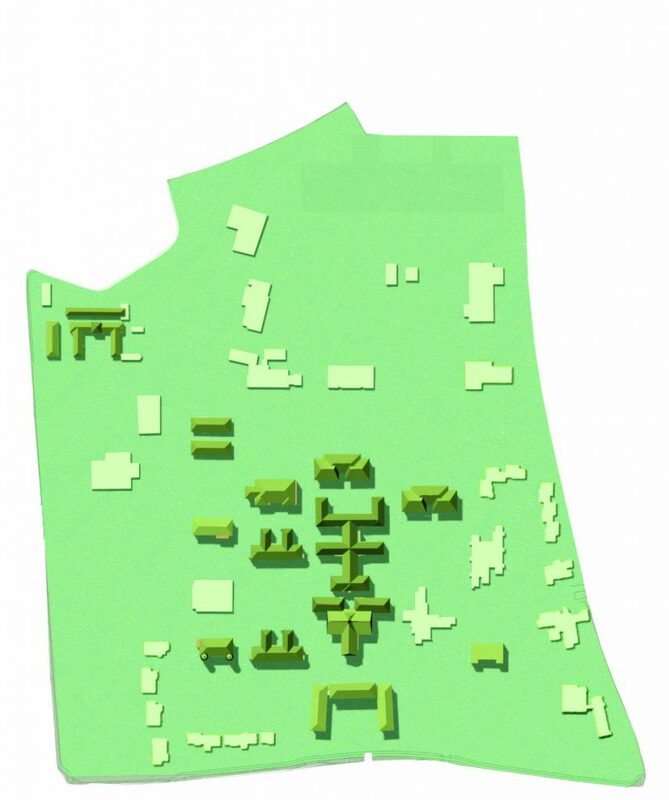 Parking facilities for the new buildings have been placed underground. Each pavilion has its own thematic garden, specially attuned to the residents’ illnesses, for example a vibrant garden with an aviary or a tranquil rose garden, depending on the situation. A garden with basalt pedestals serves as a place for residents to exhibit their art work. Socializing can take place in the front yard. The publicly accessible, well-shaded park strip consists of an informal active area, with an amphitheater, play terminal, children’s farm and grass plot, with a formal, passive portion, that consists of a pond and arboretum. To maintain unity on the green ground level, rather than using partition walls or fences, differences in levels distinguish the various zones of use. Play has been integrated with the grass surface: an elongated earthen wall, or ‘land snake’, appears to creep out of the turf. 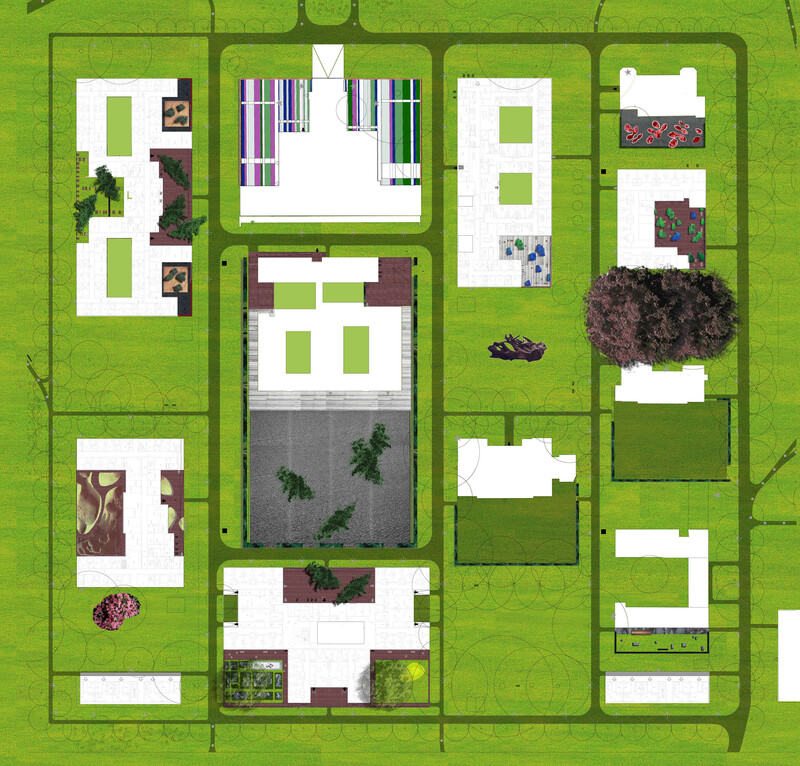 The front yard is separated from the city by built-up urban rims of mansions, apartment buildings and villas, for which B+B also drew up visual quality proposals.